A Coroner's Inquest was held regarding the February 6, 1870 death of 22-year-old Mary Donigan. Mary died at the Brooklyn home of Mrs. Bridget Dillon, who testified that she'd known Mary for about 18 years. Mary had come to her home on a Monday afternoon about three weeks before her death, looking very sickly but not complaining of illness. By the time Friday came around, Mary was reporting being sick with diarrhea. Mrs. Dillon consulted with some other women, as well as a pharmacist, about caring for Mary. The druggist provided some powders that she was to give to Mary every hour, but Mary didn't want to take more after the first dose, reporting that they only made her feel worse and blistered her mouth. Mary refused the services of either a doctor or a priest. In early February, Mary had taken such a turn for the worse that Mrs. Dillon sent for both a doctor and a priest. The doctor, Matthew F. Regan, testified that he'd been summoned to a garret room where he found Mary in bed, "suffering from inflammation of the womb and the covering of the bowels." Mary reported being married and having suffered a miscarriage the preceding Friday. Dr. Regan prescribed some medication and returned on Saturday. At that time, Mary admitted that she wasn't married, and that she'd not seen a doctor or had any sort of abortion performed. He told her that her condition was very grave, "that I had seen women die who were not so low as she was." Mary identified a Mr. Burdie or McBurdie, who worked in the brick yards in Haverstraw, where Mary lived, as the father of the baby. When Dr. Regan returned at noon on Sunday to check on Mary, he found her dead. Dr. A. W. Shepard performed a post mortem examination on Mary and found no signs of instrumentation, but plenty of signs of infection in and around the uterus. He determined that she had died from an abortion. In April of 1895, a reporter who was at the Detroit business of undertaker Frank Gibbs kicked a coffin that was in a corner of the room. Gibbs scolded, "Here, don't kick that coffin. There's a body in it, and I've got $100 for keeping it." The reporter went to the health department. When the undertaker got wind of this, he hastily had the body buried at Potter's Field. An investigator went to Gibbs' establishment and found a death certificate for a woman named Myrtle Cook. The cause of death was given as pneumonia, and it was signed by Dr. J. D. Seaman. The health department ordered the just-buried body to be immediately exhumed and brought to another undertaking establishment for an autopsy. The cause of death was determined to be abortion. After an intensive investigation -- including a second disinterment for verification -- the woman was identified as Emily Hall, a young woman who had been brought to the area from her home in Birmingham, England, by Jonathan Bell, a Church of England clergyman who had gotten her pregnant. Shortly after Christmas Emily had told her parents that she had been hired as a lady's traveling companion and that they probably wouldn't hear from her until spring. Emily had instead traveled directly to Detroit and checked into the Alice B. Lane Lying-in Hospital on January 23 for an abortion. All of the arrangements, including paying the $50 fee, had been made prior to her arrival, and on January 27 Dr. D. J. Seaman performed the abortion that eventually took Emily's life. Women who were at the hospital to give birth had been instructed to say that "Myrtle" had given birth to a live baby that had been placed with a foster family. The police recovered the baby's body, which had been buried in the back yard. When arrested, the defendants -- Seaman and Lane -- refused to even enter a plea. Seaman's first trial ended in a hung jury, a second trial produced a conviction which Seaman had overturned, and a third trial ended with Seaman convicted of manslaughter and sentenced to ten years. Elizabeth "Betty" Hellman was the 35-year-old wife of an Air Force major who had been stationed in Tokyo for over a year. Evidently Betty found the separation lonely, for she became pregnant while her husband was away. On January 28, 1952, Betty was admitted to the Tinker Air Force Base hospital in critical condition. She admitted to having undergone an abortion on January 25. When questioned by investigators on January 31, Betty said that friends had referred her to a woman named Jane. She was shown a photo and identified the woman in it, 43-year-old Mrs. Jane McDaniel White, as her abortionist. She gave White's address as the place she had gone for the abortion. She promised White $100, but only paid her $50. White initiated the abortion with some kind of packing and sent Betty home. Betty became very ill, and called White, who with her daughter came to Betty's home and "scraped her out". After Betty gave her statement, police raided White's home. 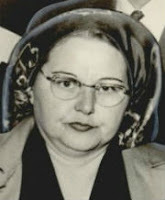 White and her daughter, Mrs. S. B. Anderson, Jr., were nowhere to be found. Police eventually tracked the pair down and arrested them for murder and procuring an abortion. White, who had been arrested twice in the past several years for abortion charges, insisted that she'd told Betty she "was not in the business" but did treat her for ptomaine poisoning, which she believed was what was causing Betty's vomiting. White admitted to having no medical training, and said that she "had no right" to diagnoses whether or not Betty was pregnant, but she was qualified to diagnose the ptomaine poisoning because she'd had a bout of it herself. The criminal case against White went well until the defense managed to have the Betty's deathbed statement declared inadmissible because it couldn't be proved satisfactorily that Betty believed herself to be near death. With the deathbed statement thrown out, the case was dropped. White was, however, clearly operating as an abortionist, since an operating table, fashioned from an old restaurant table, and surgical instruments had been sized from her home at the time of her arrest -- "enough instruments and medicine to stock a small hospital." Seventeen-year-old Laniece Dorsey underwent a safe and legal abortion at a Family Planning Associates Medical Group facility in Orange County, California, on February 6, 1986. Laniece lapsed into a coma, was transferred to a nearby hospital, and died later that day. The Orange County Sheriff's Department medical examiner blamed the death on cardiorespiratory arrest due to the anesthesia. Laniece wasn't the first or last young woman to die from abortion at a facility owned by FPA head honcho Edward Campbell Allred. Other patients known to have died after abortion at Allred's facilities include Denise Holmes, Patricia Chacon, Mary Pena, Josefina Garcia, Joyce Ortenzio, Tami Suematsu, Deanna Bell, Susan Levy, Christina Mora, Ta Tanisha Wesson, Nakia Jorden, Maria Leho, Kimberly Neil, Maria Rodriguez, and Chanelle Bryant. 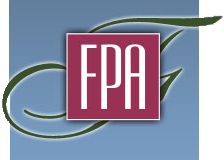 The FPA facilities remain members of the National Abortion Federation despite these deaths. Life Dynamics lists 26-year-old Kathy Davis on their "Blackmun Wall of deaths caused by safe and legal abortions. Citing Kathy's death certificate, Life Dynamics says that Kathy died at Cleveland Metropolitan General Hospital of heart failure and hypertension following a legal abortion on February 6, 1987.